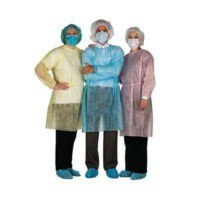 Amd-Ritmed Assure Wear Versagown A69961 A69962 D8009-OTH D8010-OTH are made from fluid-resistant 3-layer protective SMS fabric for maximum breathability, flexibility and strength. The gowns have a patented neck closure, thumb loops and generous waist ties to lend additional versatility and protection. 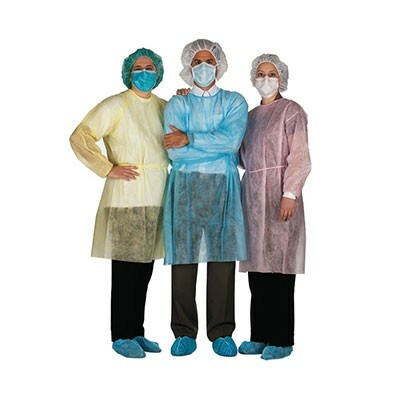 Non-woven Over-The-Head (OTH) gown with elastic cuffs, thumb loops available, belt attachment, flexible neck closure made of two elastic strings and protective material around the collar. For more information on Amd-Ritmed’s Assurewear Versagowns A69961, A69962, D8009-OTH, and D8010-OTH; please visit www.amdritmed.com.